In this article, mechanical behaviors of adhesive tape VHB 4950 elastomeric material, which is an element of acrylic polymer group and which is in viscoelastic behavior, under different pre-stress conditions and complex forces of different geometric parameters created by combining loadings have been experimentally and numerically investigated. In experimental studies, loading-unloading cyclic tests, one of the different standardized tests for the mechanical characterization of viscoelastic material, have been applied which give the most suitable convergent optimization parameters for the finite element model. Different material models were also investigated by using the data obtained from loading-unloading test results in all numerical models. According to the experimental results, the most suitable material parameters were determined with the Abaqus Parallel Rheological Framework Model (PRF) for 4 Yeoh Networks with Bergstrom-Boyce Flow model created in the Mcalibration software for finite element analysis. Subsequently, using these material parameters, finite element analysis was performed as three dimension non-linear viscoelastic with a commercial finite element software Abaqus. The finite element analysis results showed good correlation to the Force (N)-Displacement (mm) experimental data for maximum load-carrying capacity of structural specimens. Bergström JS, Boyce MC. Constitutive modeling of the large strain time-dependent behavior of elastomers. J Mech Phys Solids 1998; 46: 931-954. Johlitz M, Steeb H, Diebels S, Chatzouridou A, Batal J, Possart W. Experimental and theoretical investigation of nonlinear viscoelastic polyurethane systems. J Mater Sci 2007; 42: 9894–9904. Miehe C, Göktepe S, Lulei F. A micro-macro approach to rubber-like materials Part I: the non- affine micro-sphere model of rubber elasticity. J Mech Phys Solids 2004; 52: 2617-2660. Ask A, Menzel A, Ristinmaa M. Phenomenological modelling of viscous electrostrictive polymers. Int J Non-Linear Mech 2012; 47: 156-165. Vu DK, Steinmann P, Possart G. Numerical modelling of non-linear electroelasticity. Int J Numer Meth Engng 2007; 70: 685–704. Vu DK, Steinmann P. A 2-D coupled BEM–FEM simulation of electro-elastostatics at large strain. Comput Methods Appl Mech Engrg 2010; 199: 1124–1133. Büschel A, Klinkel S, Wagner W. A viscoelastic model for dielectric elastomers based on a continuum mechanical formulation and its finite element implementation. Proceedings SPIE 7976; Electroactive Polymer Actuators and Devices (EAPAD) 2011; 06 March 2011; San Diego, California, USA. Hossain M, Vu DK, Steinmann P. Experimental study and numerical modelling of VHB 4910 polymer. Comput Mat Sci 2012; 59: 65–74. Kaliske M, Rothert H. Formulation and implementation of three-dimensional viscoelasticity at small and finite strains. Comput Mech 1997; 19: 228–239. Nandi B, Dalrymple T, Yao J, Lapczyk I. Importance of capturing non-linear viscoelastic material behavior in tire rolling simulations. Meeting of the Tire Society; 8-10 September 2014; Providence, RI 02909, U.S.A.
 Wissler M, Mazza E. Mechanical behavior of an acrylic elastomer used in dielectric elastomer actuators. Sensors and Actuators A 2007; 134: 494–504. Vandenbroucke A, Laurent H, Aït Hocine N, Rio G. A hyperelasto-visco-hysteresis model for an elastomeric behaviour: Experimental and numerical investigations. Comput Mater Sci 2010; 48: 495–503. Amin AFMS, Lion A, Sekita S, Okui Y. Nonlinear dependence of viscosity in modeling the rate-dependent response of natural and high damping rubbers in compression and shear: Experimental identification and numerical verification. Int J Plast 2006; 22: 1610–1667. Johlitz M, Steeb H, Diebels S, Chatzouridou A, Batal J, Possart W. Experimental and theoretical investigation of nonlinear viscoelastic polyurethane systems. J Mater Sci 2007; 42: 9894-9904. Lion A. A physically based method to represent the thermo-mechanical behaviour of elastomers Acta Mech 1997; 123: 1–25. Wissler M, Mazza E. Modelling and simulation of dielectric elastomer actuators. Smart Mater Struct 2015; 14: 1396-1402. Mars, WV, Fatemi A. A novel specimen for investigating mechanical behavior of elastomers under multiaxial loading conditions, Experimental Mechanics 2004a; 44: 136–146. Qi HJ, Boyce MC. Constitutive model for stretch-induced softening of the stress-strain behavior of elastomeric materials. Journal Mech. Physics Solids 2004; 52: 2187-2205. Bergström JS, Rimnac CM, Kurtz SM. An augmented hybrid constitutive model for simulation of unloading and cyclic loading behavior of conventional and highly crosslinked UHMWPE. Biomaterials 2004; 25: 2171-2178. Yeoh, OH. Some forms of the strain energy function for rubber. Rubber Chem Technol 1993; 66: 754-771. PolyUMod Version 4.2.0 manual, A library of advanced user materials, Veryst Engineering. Gutierrez-Lemini D. Engineering viscoelasticity. New York, NY, USA: Springer Science+Business Media, 2014. pp. 113-145. Brinson HF, Brinson LC. Polymer engineering science and viscoelasticity, an introduction. 2nd ed. New York, NY, USA: Wiley, Springer Science+Business Media, 2015. Hurtado JA, Lapczyk I, Govindarajan SM. Parallel rheological framework to model non-linear viscoelasticity, permanent set, and Mullins effect in elastomers. Editors Gil-Negrete N, Alonso A, editors. Proceedings of the 8th European conference on constitutive models for rubbers; 25–28 June 2013; San Sebastián, Spain: Taylor & Francis Group, London, UK: ECCMR VIII pp. 95-100. Bergström JS. Constitutive modeling of elastomers—accuracy of predictions and numerical efficiency. PolymerFEM.com, 2005. 3MTM VHBTM Tapes Technical Data Sheet - October 2014. ISNAD Enginsoy, Halil Murat , Asi, Osman . "MECHANICAL BEHAVIOR OF PRESTRESSED VISCOELASTIC ADHESIVE AREAS UNDER COMBINING LOADINGS". 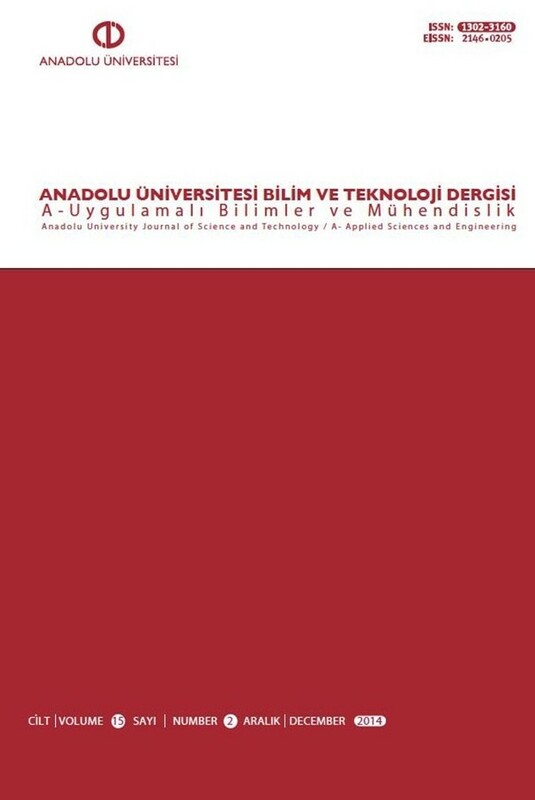 ANADOLU UNIVERSITY JOURNAL OF SCIENCE AND TECHNOLOGY A - Applied Sciences and Engineering 18 / 5 (December 2018): 1077-1088.